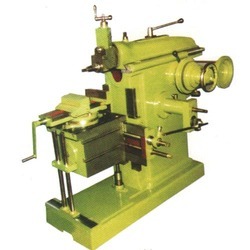 We are a leading Manufacturer of shaping machine and tool shaping machine from Mumbai, India. We offer Shaping Machine to our clients. Machine size 12" 18' 24" 30' 36"
Len of Ram 26" 36" 50' 58" 66"
Min. dist. Of table to Ram 1" 2" 2" 2" 2"
Max. vertical travel to tool slide 5" 4" 7" 7" 7"
Len. And width to table top. 12" x 9" 18" x 12" 24" x 15" 30.1/2" x 16" 36" x 18"
Len and width of table slide 24" x 10" 30" x 11" 37.1/2" x 12" 44" x 13" 48" x 14"
Width of Ram 8.1/2" 10" 12.1/2" 12.1/2" 13"
We offer Tool Shaping Machine to our clients. 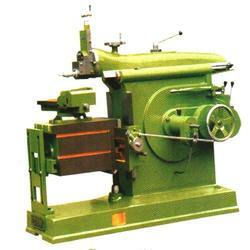 Capacity 18" 24" 30" 36"
Looking for Shaping Machine ?